For over 60 years, the attorneys at Magaña, Cathcart & McCarthy have been dedicated to pursuing justice on behalf of individuals and families devastated by the loss of a family member. Losing a loved one is one of life’s most difficult experiences, and a family’s pain is worsened when the death is the result of someone else’s negligent or reckless behavior. We believe in holding the responsible party accountable for their actions and are committed to helping our clients recover just compensation for their loss. Magaña, Cathcart & McCarthy is recognized internationally as one of the premier aviation accident law firms. Aviation accidents require legal counsel with specialized knowledge of the aviation industry and the applicable international, federal and state laws which govern aviation accidents. Two of our attorneys are general aviation pilots and another of our attorneys flew helicopters in Vietnam, giving our firm personal experience in a wide range of aviation fields. We have represented clients in general aviation cases involving Learjet, Beech, Piper, Aero Commander, DeHavilland, Fairchild, Mooney, Rockwell and Cessna aircraft, as well as helicopter accidents involving Aerospatiale, Bell, Hughes Eurocopter and Robinson. Our firm has been involved in many landmark aviation cases, including the first crashes of a 747 and DC10, and the first fatal crash involving an MD-11. Deaths caused by medical malpractice are particularly devastating because the very individual or entity the victim entrusted with their healthcare is responsible for causing their death. Most families do not anticipate or prepare themselves for the tragedies that may result from what should be a simple medical procedure. When a doctor, surgeon, anesthesiologist, nurse, hospital, or other medical professional fails to provide the reasonable standard of care accepted by the medical community, our firm can help surviving family members file a wrongful death action to recover compensation for the death of their loved one. Under California Civil Code § 3333.2, surviving family members may be entitled to recover up to $250,000 in non-economic damages, including the loss of care, comfort, and society the deceased would have provided had he or she survived, as well as unlimited economic damages. When a person is injured in an accident caused by another’s negligent or reckless conduct, the injured person has the right to bring a personal injury lawsuit to recover for the damages he or she has suffered. But if the person dies before filing a lawsuit, or before seeing a lawsuit through to settlement or judgment, a personal representative of the estate may take over and file a survival action on behalf of the estate. This is referred to as a “survival action” and is separate and distinct from a wrongful death claim. In a survival action, the allowable damages are those to which the deceased would have been entitled in a personal injury lawsuit, such as medical expenses, lost wages, disfigurement, and pain and suffering. A personal representative of the estate is a fiduciary appointed by the Probate Court to act on behalf of the deceased person’s (the “decedent’s”) estate. If the decedent died with a valid will, the personal representative is usually the executor named in the decedent’s will. If the decedent died without a will, the court will appoint an administrator of the estate to serve as personal representative of the estate. Since the benefactors of a wrongful death claim and a survival action are basically the same, and similar facts must be proven in both cases, the two actions are frequently tried together in one lawsuit, allowing the plaintiffs to maximize recovery without requiring the time, expense, and emotional trauma of two separate lawsuits. If you have lost a family member due to the negligence or wrongful act of another party, the attorneys at Magaña, Cathcart & McCarthy are available to assist you during this difficult time. Initial consultations and inquiries are offered without charge. 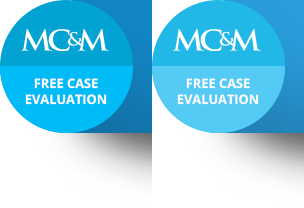 To learn how the firm can obtain results in your specific case, call (310) 553-6630 or e-mail Magaña, Cathcart & McCarthy.